This Thursday the By the People twitter account (@Crowd_LOC) launched a "Page of the week" initiative, where we'll feature By the People highlights. Each week community managers will post an interesting, odd, or beautiful page that strikes our (or your!) fancy. That's right, we want your help to find them! We don't see many of the pages that you, our amazing and engaged volunteers, do. So help us keep this feature going by posting your favorite pages on this History Hub thread as Page of the Week nominees. 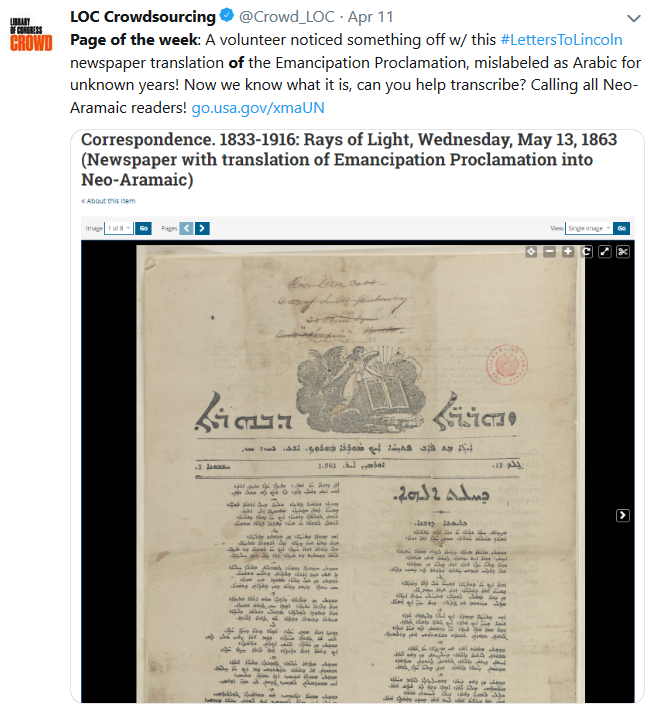 Show the world how fascinating Library of Congress crowdsourcing can be!